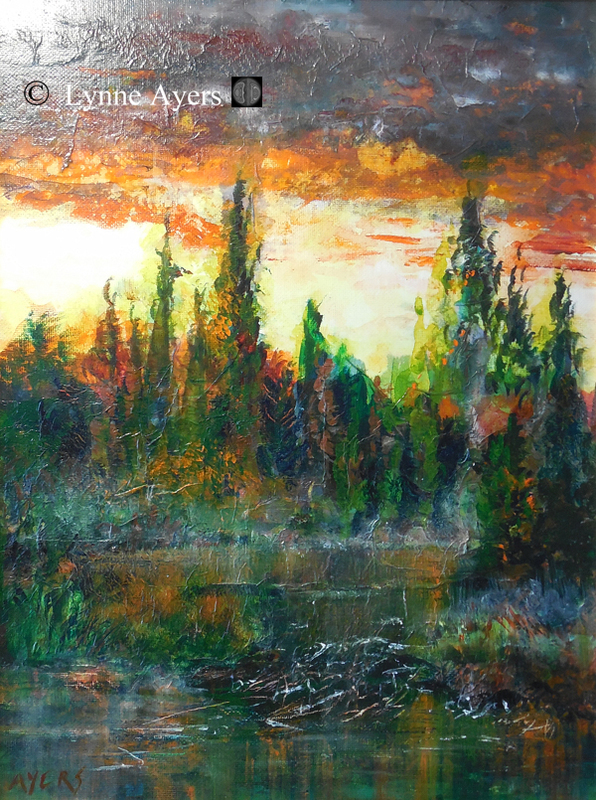 Spruce Bog, Northern Ontario – acrylic on canvas by Lynne Ayers. This is the first acrylic I did, under the tutelage of a dear friend, now gone. Please click on image for a better view. This is striking. If I could paint I’d like to use acrylics for the intense colours. Many thank you’s, Ed. You made me smile. You made me smile, Carol 🙂 Thank you.